Conformity isn't for everyone. Some kids are quickly tagged with the label "Does not play well with other children." Others grow up to become introverts, recluses, or people who see no need to keep up with the Joneses. If any character in literature lives up to the description of a true eccentric, it is the sad and lonely woman created by Charles Dickens who, on her wedding day, was jilted by her fiancé. Humiliated beyond any hope of repairing her reputation, from that day forward she remained in her mansion, clad in her wedding dress and wearing only one shoe. In 1977, composer Dominick Argento was commissioned by the New York City Opera to write a new opera for Beverly Sills. By the time Miss Havisham's Fire received its world premiere on March 22, 1979, Sills was close to retirement and about to become the General Director of the New York City Opera. As a result, the younger Miss Havisham was sung by Gianna Rolandi and the older Miss Havisham by Rita Shane. 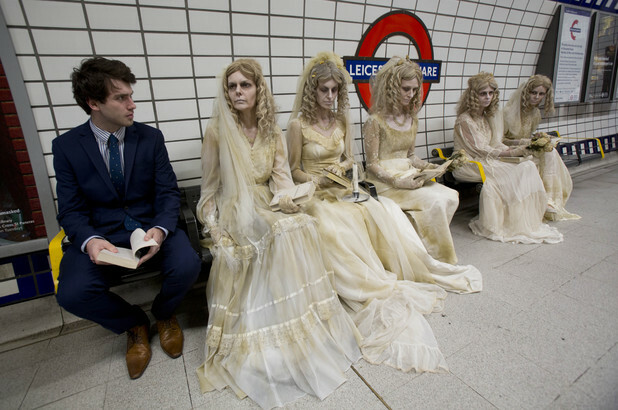 As part of its effort to promote a new, made-for-television version of Great Expectations, publicists for the BBC dressed up five fashion models as Miss Havisham and sent them roaming around London's Underground. Marching to their own drummer. A horse of another color. Not playing with a full deck of cards. If a gifted child is lucky enough to blossom into adulthood, identify his artistic strengths, and pursue them throughout the course of his life, he may end up with a successful career in the arts. If a professional career was never his goal, he may come to be looked upon as someone with a nice hobby (or a really kooky personality). Two intriguing documentaries screened at the 2014 SFDocFest focus on remarkable men who, at the very least, would be called eccentric. One re-engineered his youth and worked to forge his artistic destiny from a very early age; the other epitomizes what it means to be a late bloomer. I have enjoyed few documentaries as much as When My Sorrow Died: The Legend of Armen Ra & the Theremin, a feature film dedicated to the antics and artistic vision of a Persian-Armenian free spirit who has garnered as much attention for his wild outfits as for his performance art as a theremin soloist. Born in Tehran to a father who worked for Iran Air, a mother who was a concert pianist (and with an aunt who was an opera singer), Armen was lucky enough to travel the world on frequent vacations when he was a child. A precocious little boy, he delighted in sewing the costumes for his puppet shows and displayed a florid imagination which, as he grew, was applied to crafting his exotic persona. When political unrest in Iran caused his family to relocate to America, Armen was frequently bullied at school. He quickly decided that he had nothing in common with his classmates and soon found his way to New York City, where he began a new chapter of his life as a somewhat androgynous club kid, drag queen, drug addict, and alcoholic. 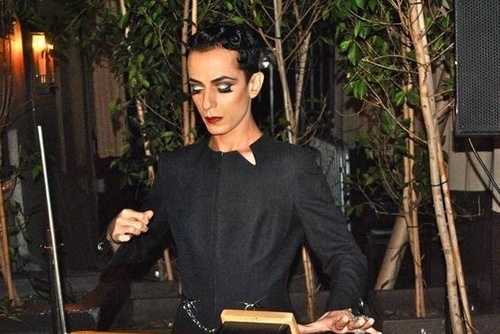 In 2001, Armen began to study the theremin, subsequently making his professional debut with Antony & The Johnsons. Released by Bowl & Fork Records in 2010, his debut solo CD ("Plays The Theremin") showcases classical Armenian laments and folk songs (his earliest musical influences). What makes Robert Nazar Arjoyan's film so entertaining is that its subject loves the camera almost as much as the camera loves Armen Ra. Whether preening at home like a 1940s femme fatale or performing live in concert, Armen is very much his own creation. If he occasionally needs to take a temporary job in a Los Angeles department store, that comes with the burden of having transformed himself into a fantastic creature who, at the very least, is a legend in his own mind. Don't believe me? Check out the following trailer. This film is a real piece of work! A resident of Saco, Maine, Al Carbee was a World War II x-ray technician who spent many years as a commercial photographer and portrait painter. 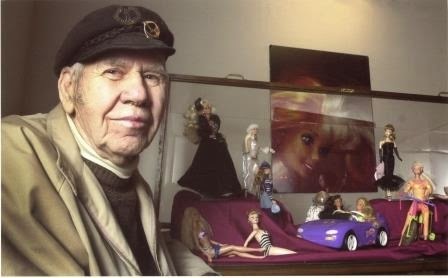 Few, if any locals knew about his work as a collage artist with a fetish for Barbie dolls. As the artist notes: "Every Barbie is different. Every Barbie has a theme. I photograph her so that every situation she's in, she feels comfortable." In 1997, when Jeremy Workman was vacationing in Maine, he spoke to a friend who was a reporter for the Biddeford-Saco-OOB Courier. It was then that Aaron Smith insisted Workman to take an extra day to visit Carbee before returning to New York. "Ask him about his art," urged Smith. That fateful phone call led to a decade-long friendship between Carbee, Workman, and the filmmaker's girlfriend (Astrid von Ussarwhich). Following Carbee's death in 2005 at the age of 89, Workman finally completed his documentary entitled Magical Universe. One of Al Carbee's Barbie collages.